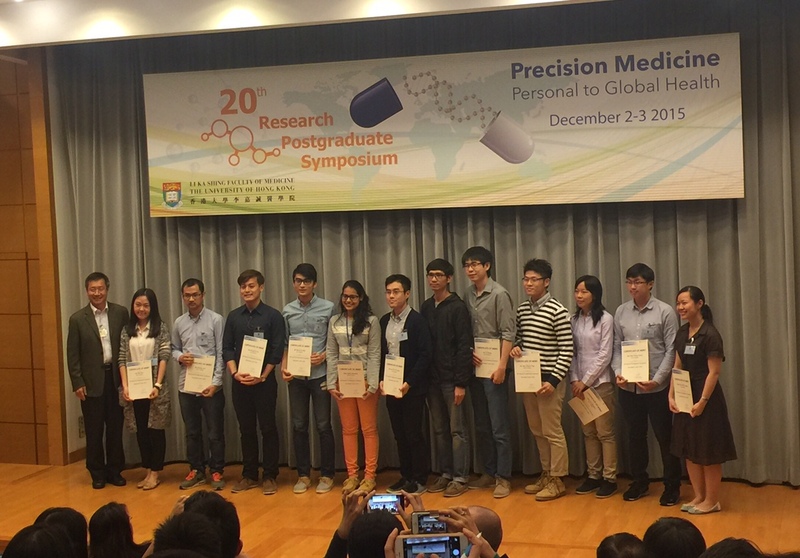 Jack Chan Lok Hei, Marco Lau Chi Chung and Steve Luk Tin Chi presented their research findings at the 20th Research Postgraduate Symposium held at the Faculty of Medicine of HKU on 2-3 December 2015. Good work to all!! Congratulations to Steve on being awarded one of the Best Poster Awards. Only 12 awards were made to over 130 poster presentations.